Walkhighlands, or bikehighlands? This time it’s a temporary two wheeled takeover, as David Lintern and family take to their steeds to reach the parts that little legs can’t quite manage. Getting a young family out and about is harder than it should be. Mum is bone tired and the kids (aged 4 and 1) aren’t independently mobile as yet. 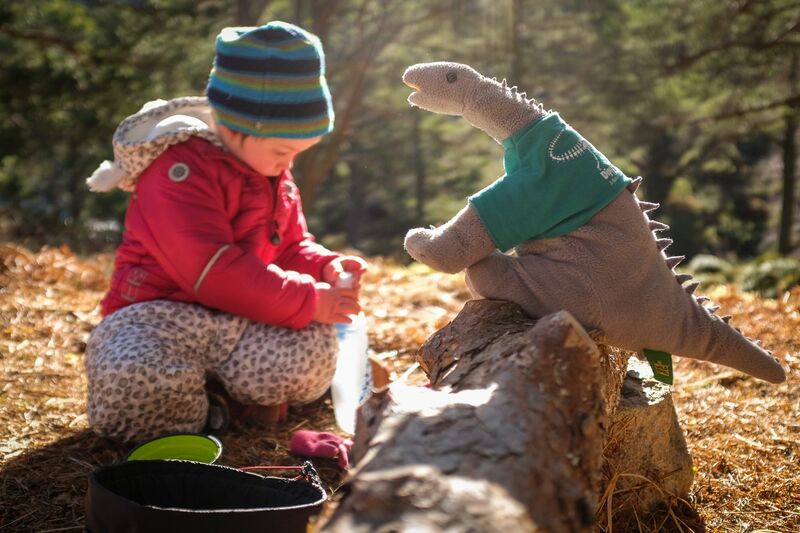 Before the really cold weather came in last year, we enjoyed one wild camp, but carrying the volume of stuff needed for four means that moving from place to place becomes next to impossible without tantrums… and that’s just the adults. Rather than be tied to the house or a formal campsite, I’ve been waiting to try a little experiment, and as the weather improved last month, it was time to give it a go. 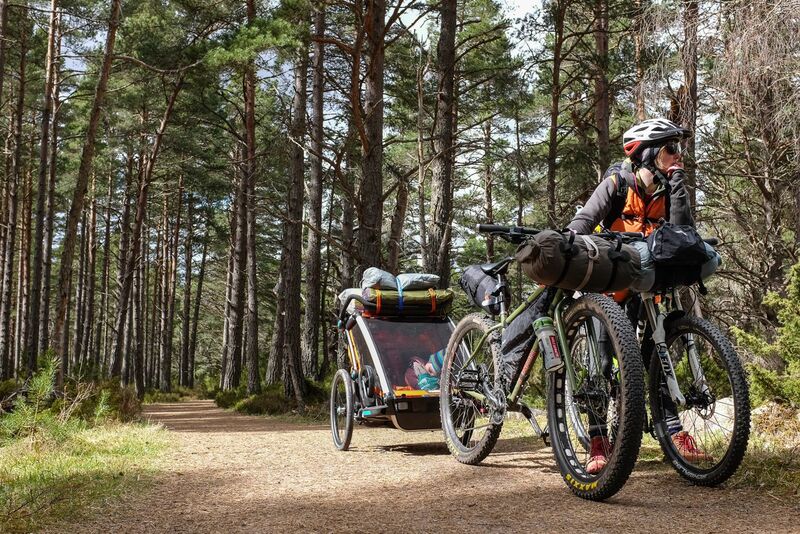 The idea was simply to see if we could go away for the weekend, moving between wild camps using mountain bikes as a means of transporting the kids and kit needed for the family. 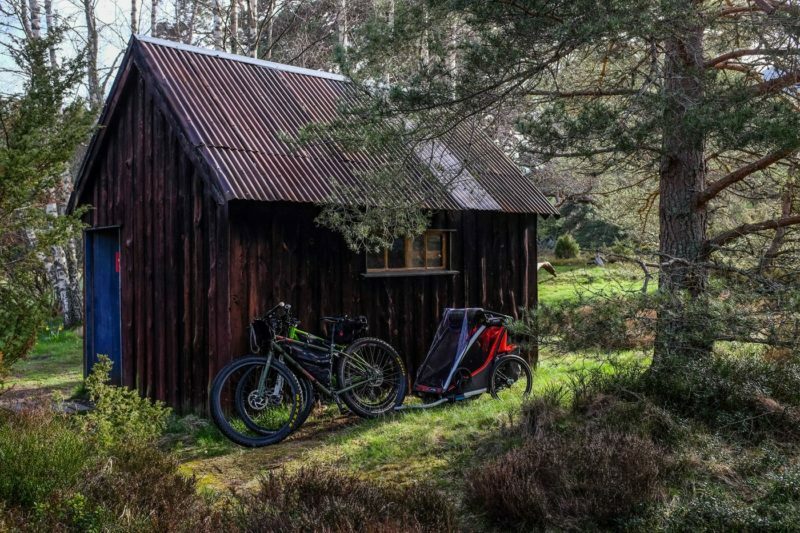 We’re lucky enough to live near the pinewoods that surround the Cairngorm plateau, but my thinking was if we were able to cycle from home… then others might be able to cycle straight off the train. Could it be done, or are young families not to be seen or heard in the wilds, restricted by boring practicalities to formal campsites? Go elsewhere in Europe, and you’ll find a different story. I’ve regularly seen babies and toddlers at high mountain passes and refuges in Spain, France and the Alps. Here, I’d like to think the situation is improving, but there’s still plenty of risk aversion and a not so healthy generational divide. Obviously, our weather can be a bit trickier to predict but the kid gloves do us no favours at all. So, to the practicalities. I’ve invested in some bike packing kit – saddle, handlebar and frame packs – but still, heaving what would normally be a boot full of nappies, cuddly toys, real milk and extra warm layers plus the regular gear onto two mountain bikes would be impossible. But I have a secret weapon in my ambitious/foolhardy plan to get the rug rats onto a carpet of heather and moss instead of a manicured lawn: A bike trailer. We’ve had our one for a few months and it’s been a game changer in getting the full pack mobile without pouring ourselves into the gas guzzler every time. The good ones aren’t at all cheap, but then neither are pushchairs, and a jogger-bike-chariot thing is far more versatile. Our one even has ski touring capability, for heaven’s sake. It’s incredibly rugged and well made, and swallows tent, cooking equipment, some of our food and a small wood burning stove plus fuel and the kids in comfort. If only we’d known before, I doubt we’d have bought that buggy. It should go without saying that once we are actually moving, we are not doing so quickly. That’s a fair amount of kit to cart around, and the first afternoon we only manage a few miles. I’m more than happy to be out with the gang, and relieved that we’re finally on the move and it’s not pouring or freezing. This hair brain scheme might even work. And it’s fun. Mum and Dad are free of four walls and getting some much-needed exercise. We’re moving slowly enough that our eldest can run alongside while she’s burning off that dried-fruit-snack rush, and can crash out in the wagon alongside her brother when she’s worn herself out. 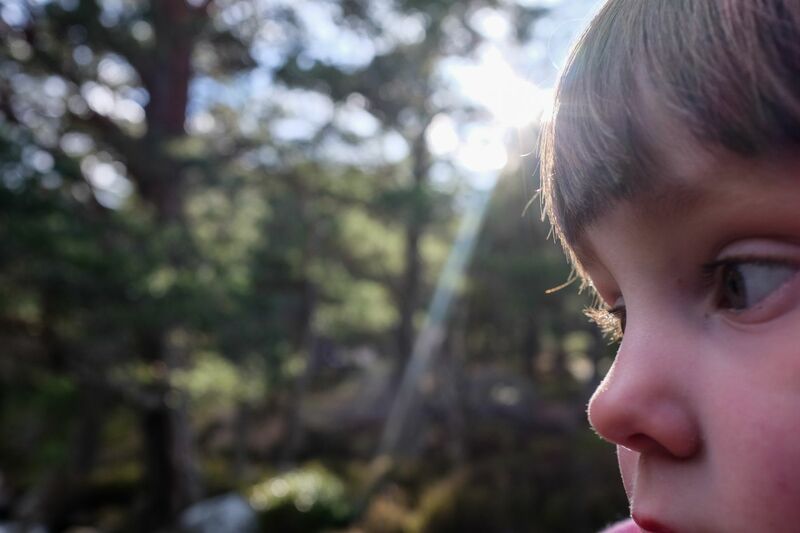 He’s mostly content to nap, or look out at the pines springing into life after a long, cold winter here in the highlands. It would be possible to begin at Kingussie station, leave the road at Glen Tromie Bridge and only cross a road once more before reaching Boat of Garten or even Tomintoul, but my loose plan to cut through to Abernethy plainly wasn’t going to happen this time. No matter. We stopped off at a small hut tucked into a corner of Inshriach nature reserve, and that became our home from home for the night. No deadlines, no rushing off for the nursery bell, or even the next mountain top. We attended to the simple chores of eating and bedtime stories, accompanied by the gentle vowel sounds of an owl and the hollow rap rapid of a woodpecker. Slowly, the place worked its gentle magic on us all. It was a good bridging stop before a section of trail my other half and I hadn’t visited since the very first time we came to the Cairngorms. I’m not going to tell you where, because it’s a quiet corner and part of the fun of all this is finding out for yourself. Some cyclists we met at the hut the night before assured us it was too rough and narrow for the trailer, but we managed well enough with some careful hike-a-bike over the rooty sections, before heading towards the more popular Loch an Eilein. The youngsters took it all in their stride. I even got requests for “more bumpy bits” from the eldest. The bairn just looked on, a bit more bemused than usual. Kids are far more resilient than adults give them credit for. We’re keen to work with that, not hide them away. They may be made of tough stuff, but it doesn’t mean we can’t have a sit-down lunch, and the coffee and brownies at Inverdruie are too good not to make a diversion for. Where now? In the previous weeks, I’d spied a spot near the timberline in the Rothiemurcus forest. It felt like too short a distance on paper, but the reality of a steady gradient over rough paths pulling twice my own weight meant it was challenge enough. Overall, our distance for the trip was tiny, but it didn’t seem to matter. Being there was far more important. Besides, for the kids, the travel was the less interesting part between the camps – just a chance for a nap. We set up earlier than we would ever consider normally, so the exploring could begin in earnest. My eldest is not a beginner in this context. She’s had enough practice now that she seems to be at ease and feel safe outside. But on our second night out, I was struck by how the forest flourished within her – the ease with which her imagination meshed with her surroundings. We took a gentle stroll in our own personal 100-acre wood after dinner to wind down after lots of running around. Piglet lived up there, on top of that hill, and Pooh’s school was over there… and so on. Us adults talk formally about outdoor recreation but rarely do we break that phrase down: Outside, we re-create. Amongst the roots and branches, fully in the present, it’s how we are embodied. As for me, after so much time spent doing boring ‘dad stuff’ recently there was a genuine sense of luxury and occasion in just spending time… and in such unguarded, open and optimistic company. It’s a rare parent who thinks they get the balance right, and sometimes our relationship with our children is an open wound, raw to the touch. Thankfully, there’s a more-than-equal and opposing force; a four-year-old tearing around my feet in the woods is guaranteed to run any guilt or cynicism straight outta dodge. C’mon, there’s stuff to do! More hide and seek, more chase, time to get grubby and fall over. Time for giggles and belly laughs. Time too, to observe and learn casually and in context; collecting water safely from a river still fierce with snowmelt, preparing food and properly disposing of a BBQ tray left by a previous visitor. What, how, when, and most of all, why? Wriggly tadpoles in muddy pools, the woozy scent of warm pine, bright new shoots on branches that have been bare for many months, a soft blush of fresh green. Life. It is a sensual world, now hers to wonder at. 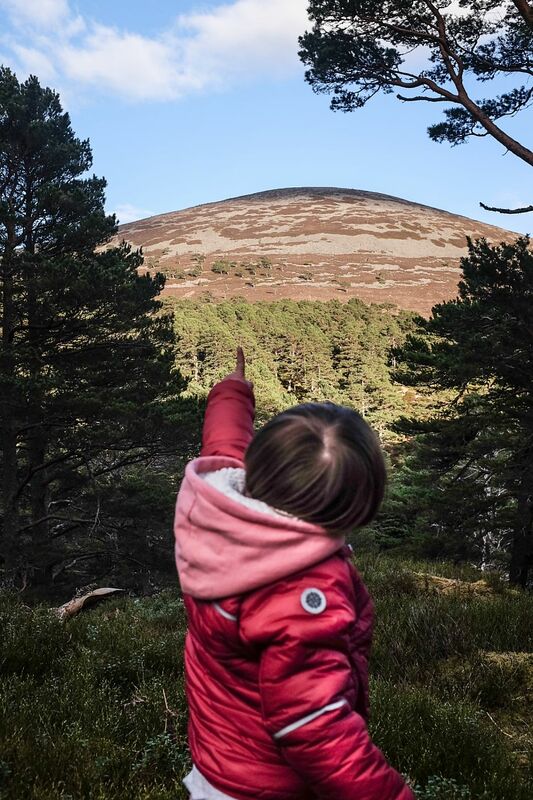 It conjures a raft of Muir quotes that cloy in the mouths of tourism PRs but which gain new depth and definition through the experiences of my daughter. “The power of imagination makes us infinite”, he says. “Between every two pines is a doorway into a new world”. Boom. But it’s these words from Richard Powers, recently shared by Robert Macfarlane, that really struck home and stuck with me when we returned, tired but not in our bones this time, from the forest: “There is a meaning of trees, a meaning to the hugely interconnected living world that cares little for human meaning. If we don’t understand and accommodate that meaning, ours will come to very little. Awe and wonder are the first tools in tuning to that meaning”. 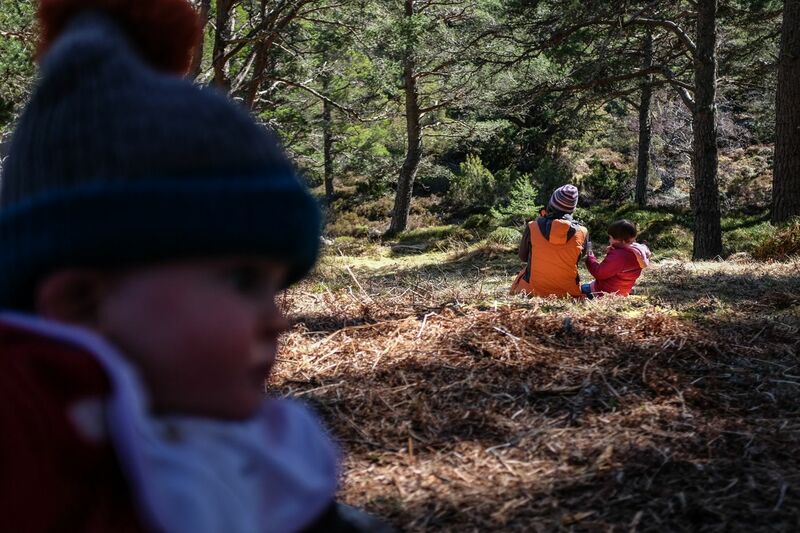 If you can – no, whenever you can – get your own rug rats out into the woods, away even from lawns and playgrounds and brick built toilet blocks. Go by bike or by foot or by any means necessary except the infernal combustion engine. There’s a new world in there between the two pines waiting to be filled of awe, almost as if it were just for them.